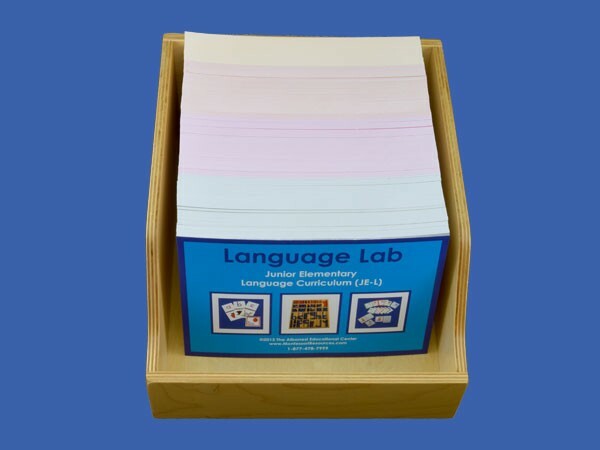 LANGUAGE CURRICULUM CARDS - JUNIOR ELEMENTARY (6-9) == This Lab of over 750 exercise cards contains 120 levels (from first to fourth grade) of Montessori exercises printed on cardstock. The standard size of all the CURRICULUM CARDS is 8 ½”x 5 1/2”. The cards are color-coded to indicate the four grade levels from 1st to 4th. 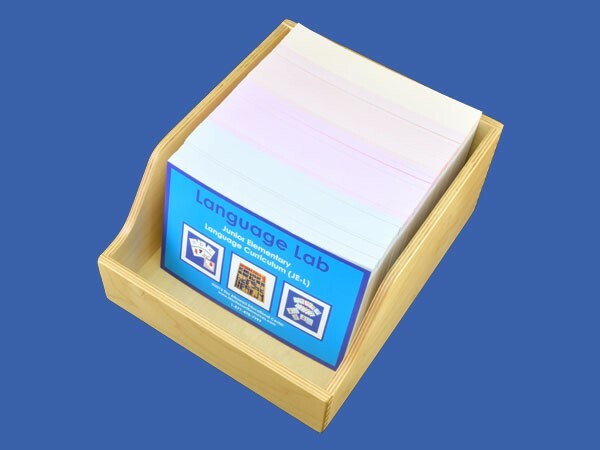 JE-L stands for Junior Elementary Language (ages 6 to 9 or grades 1-4). Control Book and wooden display box are sold separately.